Love My Gifts announced today its first official charity partner for 2018 – 2019 will be Macmillan Cancer Support. Macmillan is the UK’s leading cancer care charity, with the objective of improving the lives of everyone affected by cancer and encouraging others to do the same. 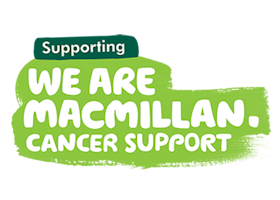 Selected by Love My Gifts employees, we will work with Macmillan to offer our amazing customers an option to add a further £1 to their Love My Gift order. 100% of all gifts will be then passed onto the cause. The company will also engage in fundraising activity and other initiatives aimed at benefiting and supporting Macmillan. We have pledged to raise £10,000 this year through our charity checkout and we will be updating our website regularly to show how Love My Gifts customers are supporting this amazing charity allowing them to reach more people living with cancer than ever before. There are currently 2.5 million people living with cancer in the UK but by 2010 almost one in two people are likely to get cancer in their lifetime. For these people its comforting to know that the Macmillan team is there to support them, providing medical, emotional, financial and practical support. Its is Macmillan’s ambition to reach and improve the lives of everyone living with cancer. Macmillan professionals such as nurses, occupational therapists and dieticians, volunteers and campaigners work tirelessly to provide vital support for people with cancer, so they can take back control of their loves. Together we are raising vital funds and supporting people when they need it most.